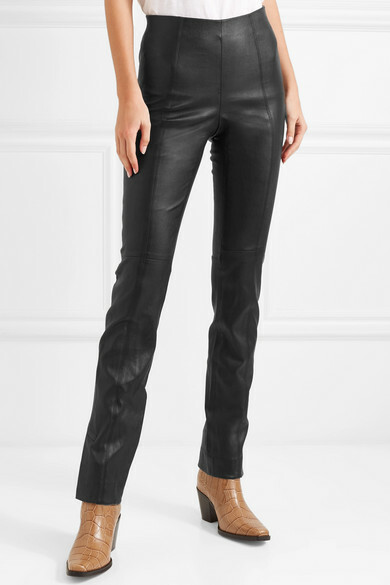 Vince has a way of making simple designs feel really special, and these black leggings are sure to become one of your favorite things this fall. 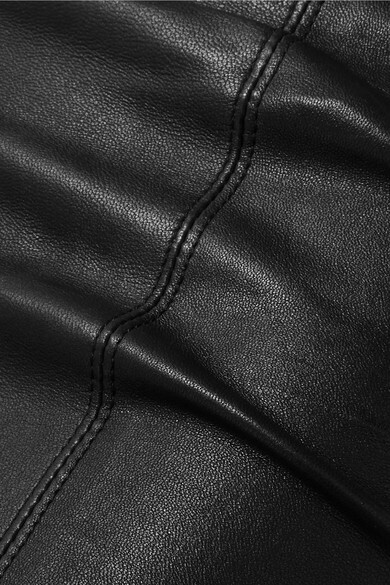 Made from soft leather to hug your figure, they have an elasticated waist and skinny fit that's highlighted with stitching along the front. Team them with this season's snake-effect boots. 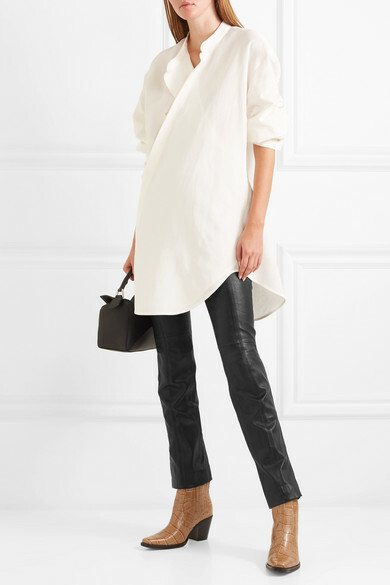 Shown here with: Jil Sander Shirt, Loewe Shoulder bag, GANNI Boots.